Though the chain of responsibility on a construction site may differ to the traditional employer and employee relationship found in other workplaces, the same general principles of duty of care still apply. Providing and maintaining a working environment in which workers are not exposed to hazards. Workers taking reasonable care to ensure their own safety and health at work; and not adversely affecting the safety or health of any other person in the workplace. Hazards are anything that may result in injury or harm to the health of a person. As part of providing a working environment which is free from hazards, it is necessary to consider health as well as safety. 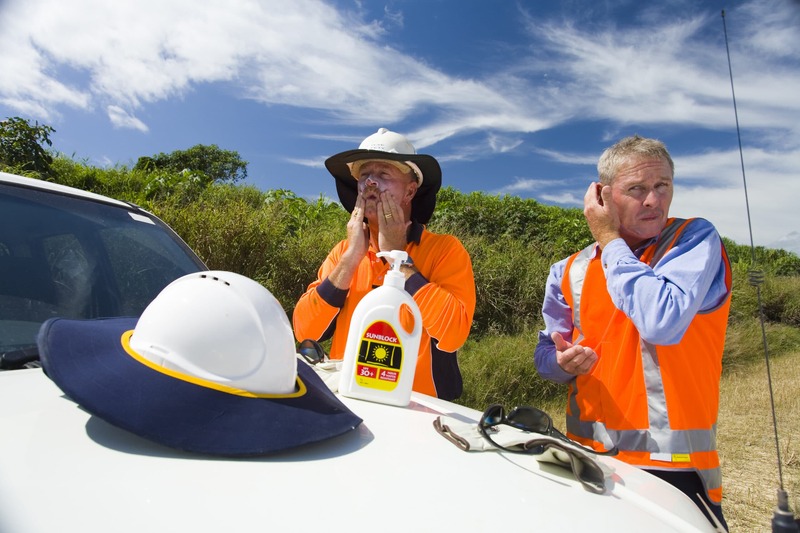 Since overexposure to UV radiation from the sun is a known cause of cancer in humans, it is a workplace hazard from which building and construction workers need to be protected when working outdoors. All persons on a building and construction site have a level of responsibility to protect those under their care and themselves from overexposure to UV radiation. When it comes to health in the workplace, prevention is far better than cure. For more information about general duties of care for contractors and subcontractors please read the Commission for Occupational Safety and Health’s ‘Guidance note: general duty of care in Western Australian workplaces’.